It's not like we were good enough to make it to the glitch area, anyway. Here's one for the record books. 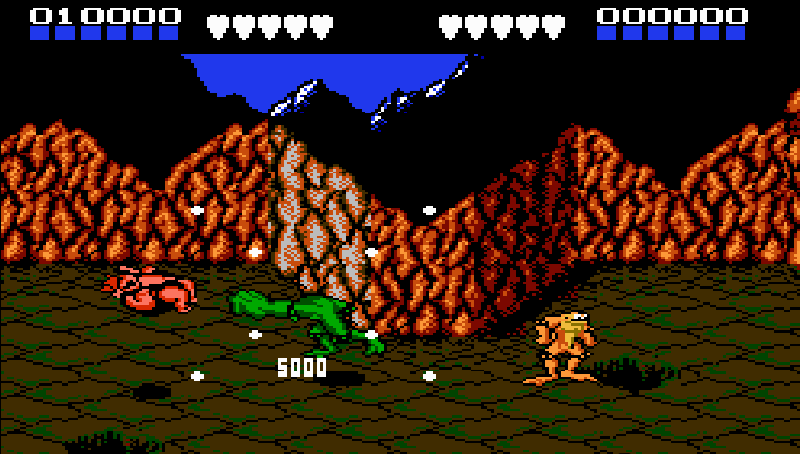 Battletoads was released in 1991 with a local co-op mode that reminded you why co-op existed. There was just one problem: on level eleven (you know, the one where a rolling lollipop chases you, then you beat it up at the end), a glitch caused the second player's controller to lock up, insta- and perma-death until the next level. Oops. Now, almost 25 years after the fact, Rare is fixing that bug. The upcoming Rare Replay collection heading to Xbox One on August 4th includes some of the studio's biggest games from the last few decades. Naturally, Battletoads is on the roster, and according to Rare studio head Craig Duncan, that player two glitch is going to be fixed. Speaking of a bunch of old Rare games, check out a few highlights of the upcoming collection. An N64 gamer's dream. And look, there's some co-op in there! Page created in 1.3962 seconds.